Born in Berlin in 1968 from a french mother and an Iranian father, Cyril starts hitting tin cans at three years old. At ten he moves to Los Angeles with his parents where he continues to study the drums and joins in 1984 the Percussion Institute of Technology for one year. Then he goes to the Berklee College of Music in Boston (1989) where he reinforces his knowledge in harmony and musical theory. 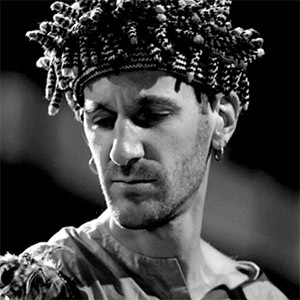 In April 1999, he and Vincent Séga form Bumcello, they’ll record seven albums. In 2006, he participates to Gotan Project album Lunático. Cyril Atef plays with Matthieu Chedid on “Le tour de M” and “Mister Mystère” tours. 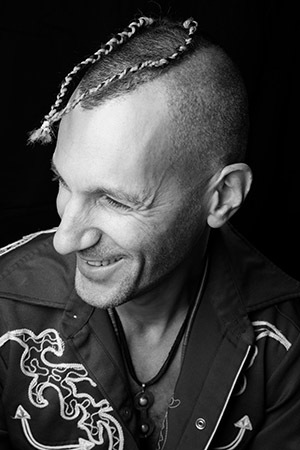 In 2008, he joins Mr Cong to form CongopunQ, a mix between african trance and electro-groove. Cyril Atef plays the drums on Louis Bertignac’s album Grizzly (ça c'est vraiment moi), released in March 2011. He also participates on Fufu Machine project with bass player Hilaire Penda and guitarist/singer Piers Faccini. In 2017, he works with Olivier Araste (of Lindigo) and Fixi on 'Pachibaba' project. 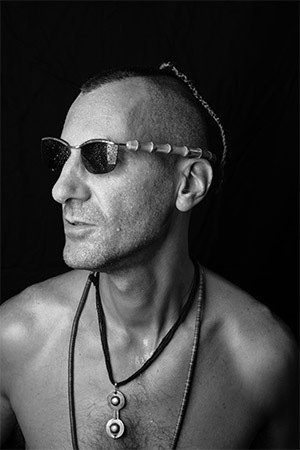 Cyril has recentlly experienced a solo hybrid formula: PAPATEF, where he mixes improvising and deejaying to turn his audience into trance! He currently plays with Christophe.